9220 SW Barbur Blvd., No. 107, 503-208-3042, humancollective.org. 11 am-7 pm Monday-Saturday. A pioneer in the medical marijuana scene, Human Collective was originally run as a medical cannabis co-op before a 2012 raid ousted it from its Washington County location, motivating it to reopen in mellower Multnomah Village. 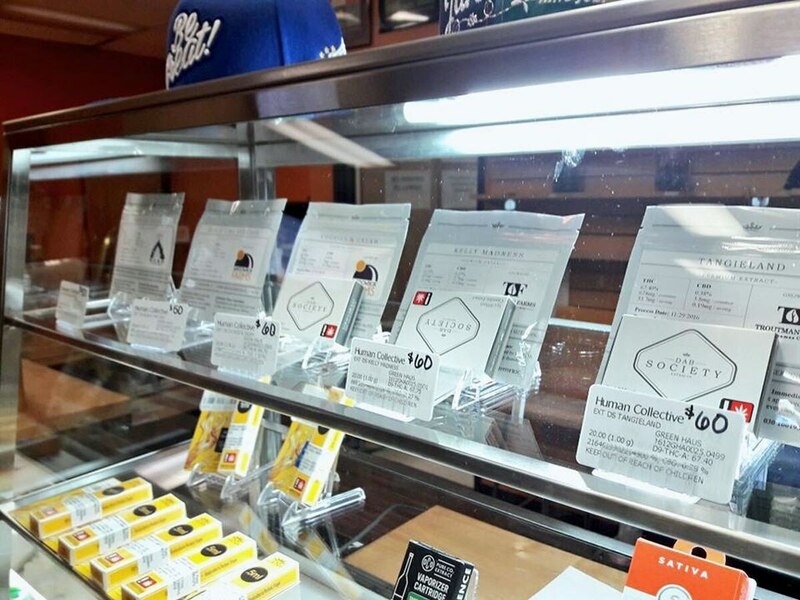 Human Collective's healing roots are still evident despite its recent switch to a recreational flower-only outlet (though medibles are still available), in both its setting and staffing. The shop's generic red-brick strip-mall exterior is quickly forgotten once you enter the sterile but welcoming showroom. While Human Collective has historically offered 100 strains, current stock is about 25 beautiful bud varieties, displayed symmetrically in apothecary jars that line the walls behind the counter. Prices are incredibly reasonable: Grams range from $6 to $12, and ounces go for $118 to $219. The weed of the week is a good starting point for the novice or indecisive buyer—recent options have included Cookies and Berry Bomb at only $10 per gram. Personnel here are witty, sharp and up to date on strains, legal intricacies, local hot spots and current events. Ten minutes in the shop will make you feel like you made three new friends.